Vicky L. Courtney began her insurance career working as a claim adjustor before joining Wausau Insurance Company as a sale associate managing accounts for seven agents. In 1981 she became the first licensed female agent for Wausau in Oklahoma, winning several production awards and was the first person from Oklahoma to win a national sales award trip in her first year as an agent. Vicky became an Independent Agent in 1984, eventually owning her agency for many years before joining Fennell & Associates in the Tulsa Branch in November 2011. Specializing in construction and surety bonding for many years, Vicky's clientele has expanded to include aviation, manufacturing, retail, restaurants/bars and commercial property owners. She handles non-profits as well as for-profit businesses. Her philosophy is not just to sell an insurance policy, but rather to be the risk manager for her clients, staying involved on a close basis to adjust coverage as necessary for the exposures faced by each client individually. 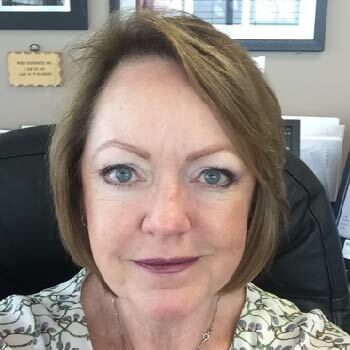 Vicky has served as President of the Independent Insurance Agents of Greater Tulsa, presently serving as Treasurer and is Secretary of The Board of Directors of the American Subcontractor Association Oklahoma Chapter. She earned her CIC designation in 1989 and is currently working on her Construction Risk Manager designation. Vicky is involved with several local non-profits and enjoys projects which give back to others. A mother of three, she has five grandchildren...so far!